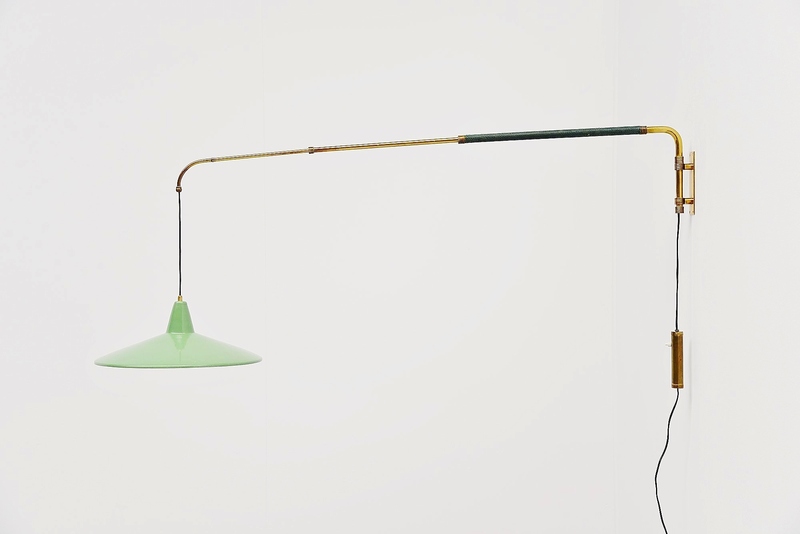 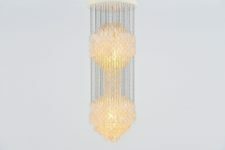 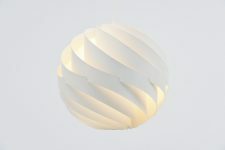 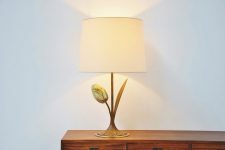 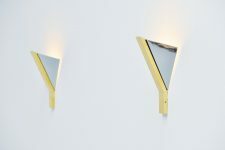 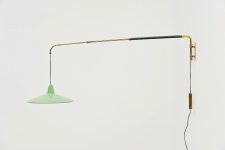 Very nice extendable wall lamp attributed to Arredoluce, Italy 1950. 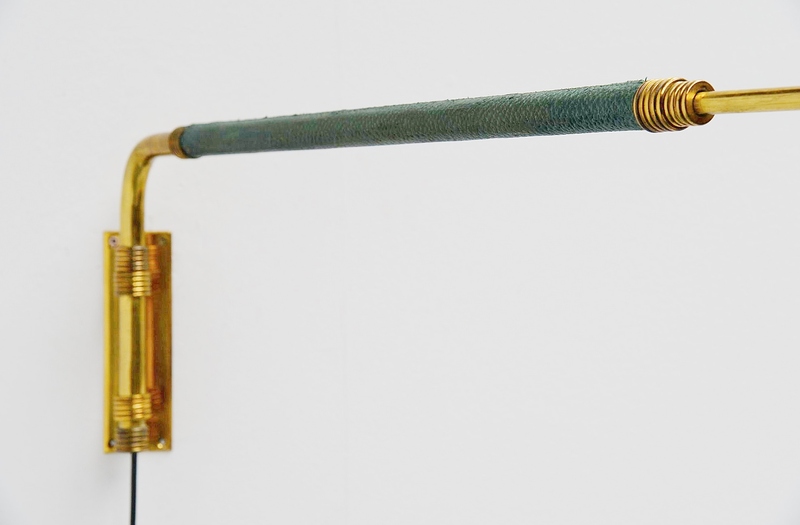 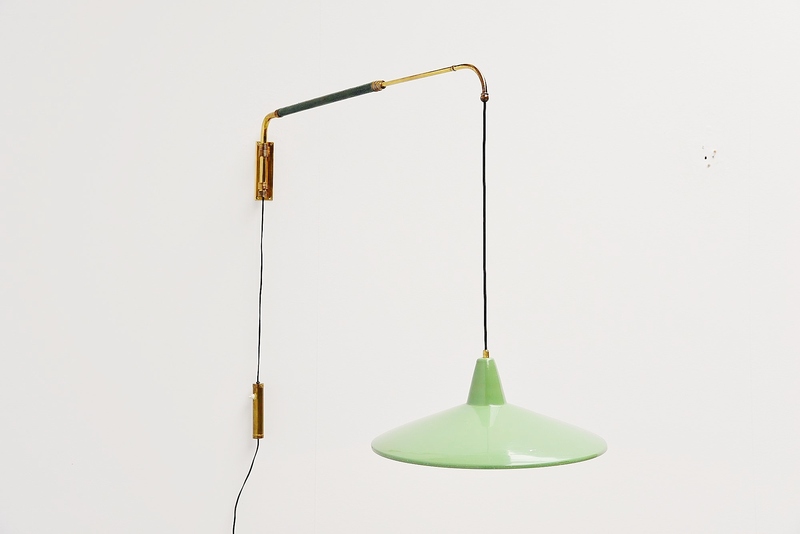 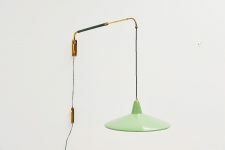 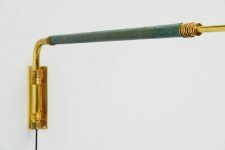 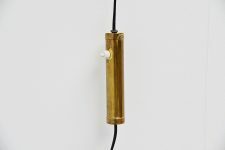 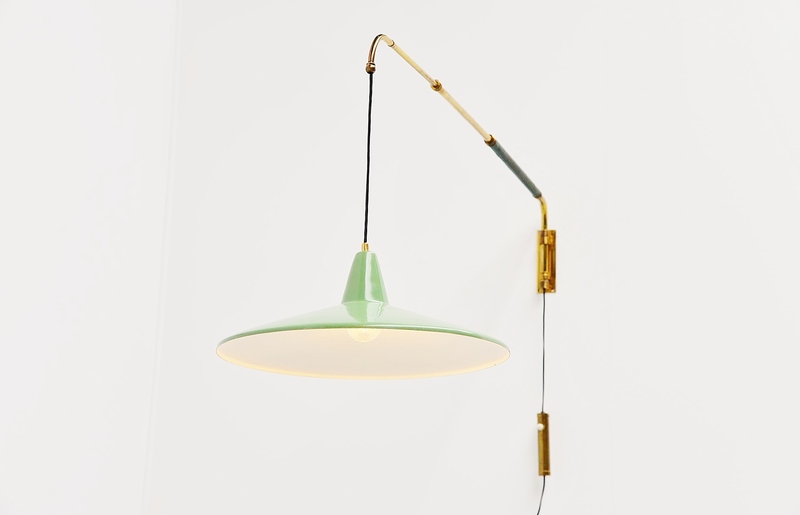 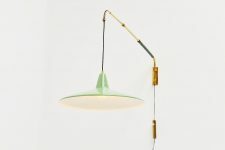 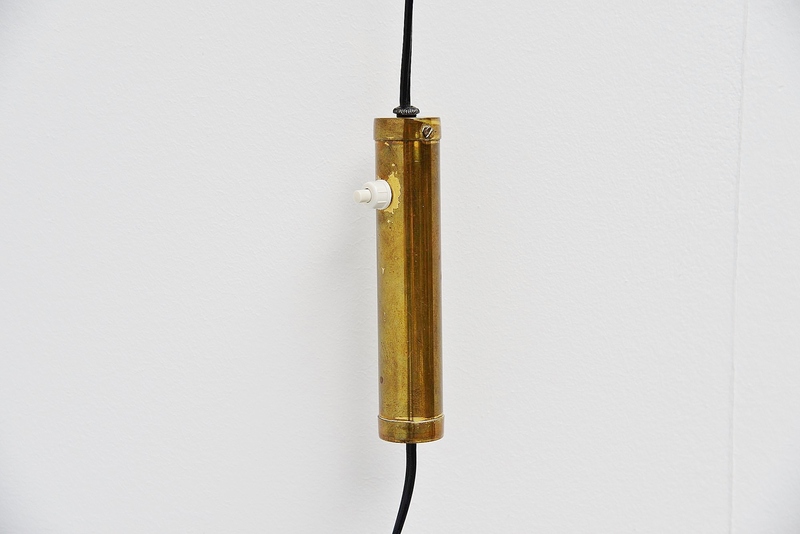 High quality wall lamp with brass extendable arm, covered with green leather. 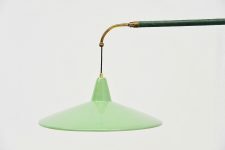 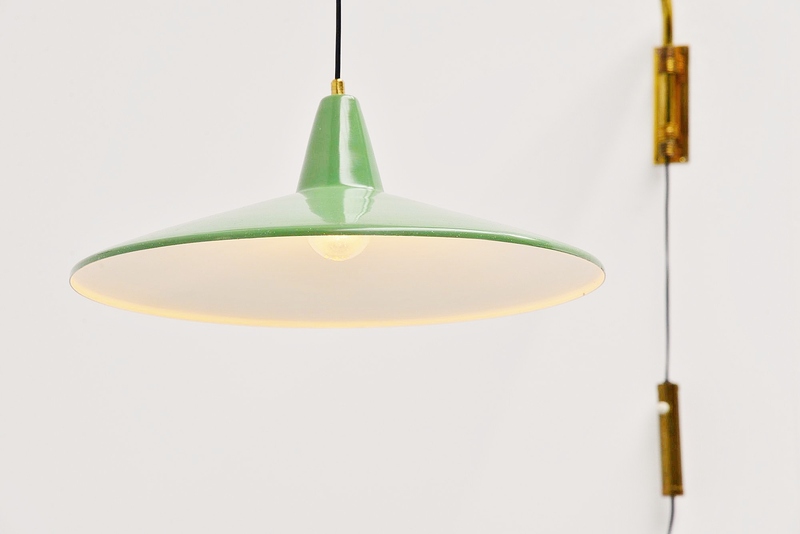 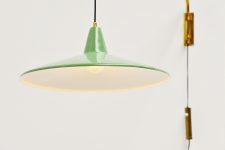 It has a brass weight and a very nice mint green shade. 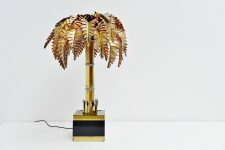 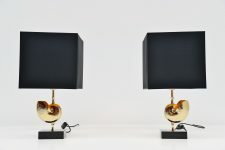 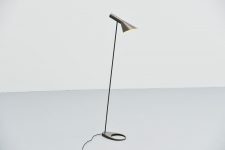 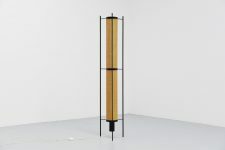 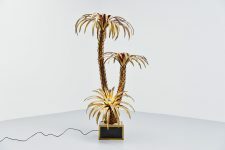 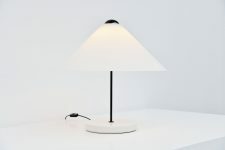 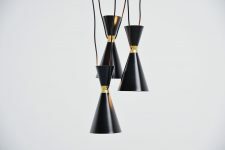 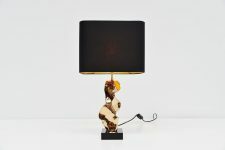 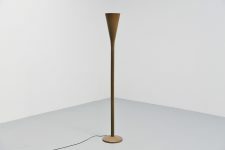 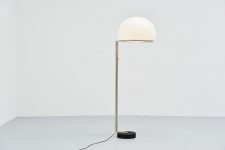 The lamp is extendable and swivels, the shade is adjustable in height using the weight on the table. 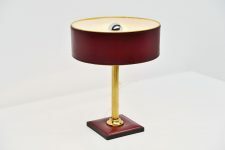 The lamp is in very nice original condition.